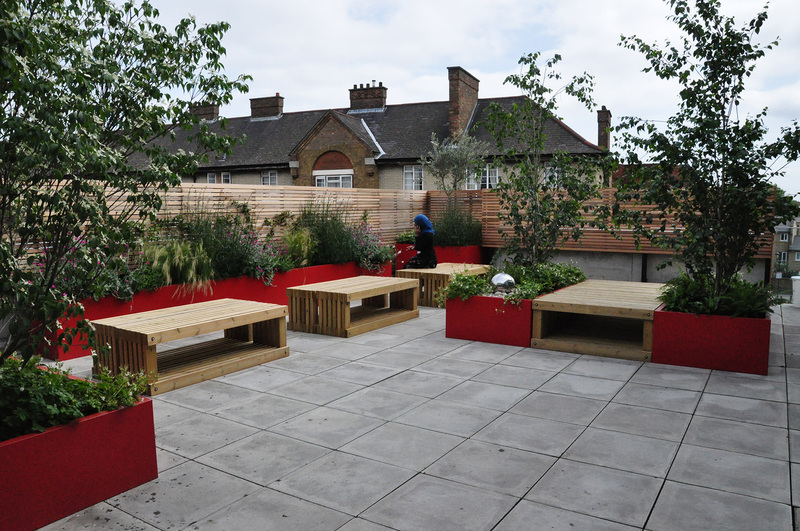 Sitting opposite to the Main Hall we have a beautiful and well-appointed urban Roof Garden. This is a rest and recreational area for users of the Osmani Centre to relax and unwind. It is an open area designed to complement events and activities taking place within the Osmani Centre or to be used separately as an outdoor barbeque area.